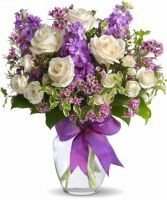 Enchant someone today with this lovely bouquet made of the prettiest purple and white blossoms. 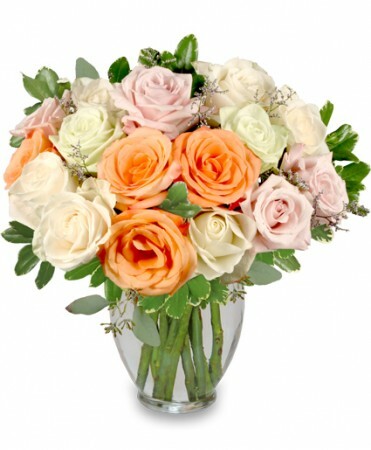 The magical bouquet is composed of soft and feminine flowers such as roses, spray roses, stock, and waxflower, all perfectly arranged in a clear glass vase that's wrapped with satin ribbon. 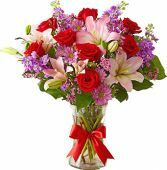 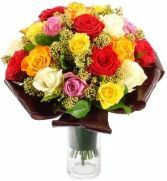 Its charming beauty makes it a wonderful gift for bringing a sense of enchantment into the recipient's life.